The ten-or-so days from November 29th to December 8th is an odd time to be a music fan – or for me, anyway. Between these two dates are anniversaries of the deaths of two icons of rock, and what would have been the birthday of another. Each of these people have played important roles in my musical adventures, so today I will pay tribute to them. November 29th marked the 14th anniversary of George Harrison’s death. Recently, I acquired a copy of All Things Must Pass on vinyl. I had not listened to to the album in a while, as it had been pulled from YouTube and I had been previously unable to find a physical copy. I soon got around to playing it, and as the opening slide guitar hooks of ‘I’d Have You Anytime’ began, I remembered just how amazing it is. 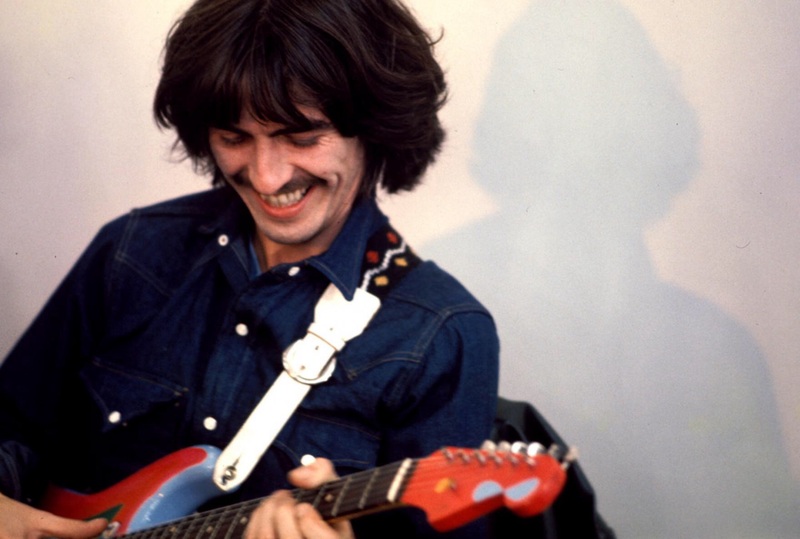 The album is perhaps the greatest showcase of George’s incredible musicality; his songwriting (catchy, yet not poppy ), his lyrics (perhaps the most underrated aspect of his already-undervalued work – often poetic, yet not too wordy), his guitar skills (expressive, ethereal in its adeptness). The album is a body of incredibly well-written and well-played work; passionate & beautiful, and ‘technically’ good, too. This greatness is translated to much of his other work, as well, both solo and with The Beatles: listen to ‘Something’ or ‘While My Guitar Gently Weeps’ (or any of his Beatles tracks from Rubber Soul onwards), or solo hits like ‘Give Me Love (Give Me Peace On Earth)’. (Many of these songs also display George’s extremely underrated lead guitar skills – his work was always simple, but sounded incredible. It is a pity he is not given more recognition for this.) Still, his work is still very underrated by the public, limited to knowledge of perhaps ‘Here Comes The Sun’ (and the assumption that his cuts were written by Lennon/McCartney) – but those that know of his songs know of their greatness, too. And what knowledge that is! It should also be mentioned that Monty Python’s Life Of Brian wouldn’t exist without George. Ever since I first watched it as a kid, Brian has been an endless supply of laughs and bad puns, so thank you, George! 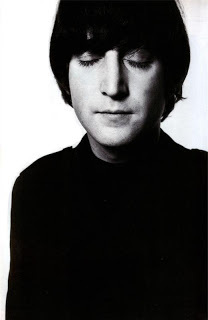 December 8th marked the 35th anniversary of John Lennon’s death. Regular readers of this blog will know that I consider John to be both my favourite Beatle and one of my heroes in general. I have said a lot about him before, but I will say it again: John is someone I admire for his incredible body of work, his humour and intelligence, his outspokenness and fearlessness and for the way he changed the world. His lyrics and music were the first thing that piqued my interest in rock, which has since become my greatest passion. He inspired me to begin playing guitar, and he was the first musician that made me want to be one, as well. His eagerness to speak up about inequality, war and other political problems – the fact that he and Yoko were not pleased to sit idly and watch world issues breed – is also something that I hugely respect to this day, and whilst I was politically aware long before I became a Beatles fan, it was his activism that made me think more deeply about my beliefs, too. He has greatly affected my life. The tragic way that John died does not warrant mentioning. It is both especially saddening and ironic, considering that his mainstream reputation is that of a peace activist. However, John has left an amazing body of work and an incredible influence and legacy, and I feel that this is what is worth remembering. So thank you, John! 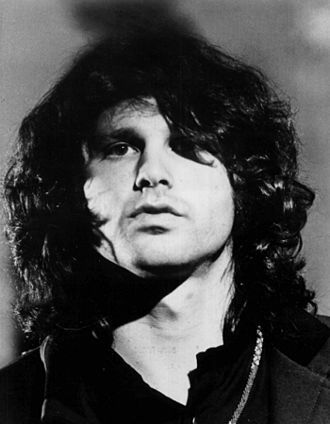 December 8th would have also been Jim Morrison’s birthday. He would have been 71. I can barely remember a time when I didn’t know about The Doors. I listened to their music as a young kid – especially LA Woman – and when I acquired my first iPod, I can also remember being shocked that the title track of said album’s lyrics involved the word ‘damn’, and was adamant that a “song with swearing” wouldn’t enter my music library! As I grew a little older, though, The Doors’ dark psychedelia fascinated me, and they’ve been one of my favourite bands ever since. Three incredible people who were all taken from us way too soon. George has always been my favorite Beatle because I can relate to his shyness, the fact that he is often undeservedly overlooked, his sense of humor (who doesn’t love Monty Python? ), and with his morals as well. Plus, I have a set of twin cousins who both look exactly like him (one of them even transitioned from an early mop top-esque look into his shaggier, post-India beard phase). John is always amazing. I mean, he’s John Lennon. And I have so much respect for Jim’s writing ability. I remember in my freshman year of high school, my English teacher wanted everyone to share a piece of poetry and I shared Jim Morrison’s “Crossroads” and scared the whole class not only with its dark subject matter and undertones but also its amazing complexity and beauty. I think it’s the fact that he was so great at finding beauty in darkness that makes his poetry so captivating. I second everything you wrote! John, George and Jim were all such amazing people, and it is tragic that they passed away at the young ages they did. However, the things they did with their lives were nothing short of utterly incredible, and our world would be such a lesser place without each of their influences. ← I went to see Tame Impala!